As of Monday evening while I’m writing this, Kalonian Hydra is about $22-$23. It has seem some amount of play so far in Standard this summer, most notably in Zvi’s GW Elves deck piloted by Hall of Fame elect Huey Jensen to a Top 8 performance at an SCG open. The card, unlike Voice of Resurgence, has not exploded onto the competitive Magic scene. Rather it has quietly slotted itself into a few face-beating decks as a 4-of, providing a brutally effective if not particularly graceful means of achieving victory. Despite the quiet reception, I believe there is potentially something brewing here. When Baneslayer Angel was revealed in M10, the collective community gasped. Wizards brought creatures to the party, and they rolled deep. Never before had a creature been so clearly pushed. Keywords and abilities abound; it quickly made good on its promise of power, bringing with it an unheard of $50 price tag in Standard that many would herald as the umpteenth death of Magic. It remained a huge factor in tournament Magic right up until the next summer, when it was promptly outclassed. In M11, rather than a single wrecking ball of a creature, Wizards bequeathed unto us five. Each had their own day in the sun, but the clear winner was Primeval Titan. Valakut had been decent prior, but having a 6/6 trample the deck could accelerate into that conveniently represented death on two separate fronts pushed the deck to the front of the Standard landscape until Valakut rotated along with the rest of the Zendikar block. Primeval Titan, as Baneslayer Angel before him, carried a $50 price tag for considerable periods of time. 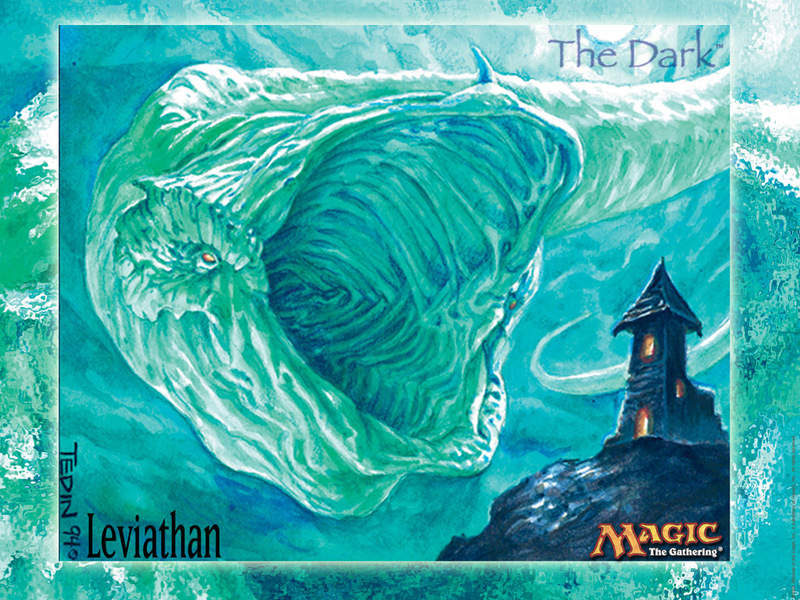 M12 ran the Titan cycle back, and while the second printing suppressed the prices a bit, the titans continued to be a massive force in standard, with Primeval Titan being a 4-of in a Pro Tour winning deck, fetching and fueling massive Kessig Wolf Runs. Three years after Baneslayer Angel dominated creature matchups, her scaly counterpart arrived hot on the heels of Lingering Souls to make sure Standard wasn’t ruled by dinky 1/1 spirit tokens. Thundermaw Hellkite didn’t need a litany of abilities, opting rather for succinct prose: Flying, Haste, Tap your flyers. Functioning both as a gruesome top end for aggressive/midrange strategies and a fast clock for UWR control decks, Thundermaw Hellkite has spent most of his tenure in Standard terrorizing Top 8s. His pedigree is such that he has even broken through to Modern, a true testament of efficacy for a 5-drop creature. Thundermaw Hellkite, like his predecessors before him, enjoyed a $50 price tag for a non-negligible period of time. Baneslayer Angel, Primeval Titan, and Thundermaw Hellkite all hit $50 during their respective outings, and even when they weren’t floating that high, they still had no trouble holding $25-45. Additionally, there was no subtlety here. Nothing here slipped in under the radar and then saw success due to a particular metagame. These cards were the metagame. Nobody saw the spoilers for these cards and thought, “hmm, I wonder if this is good enough.” These creatures were not the piano wire or silenced pistol, but rather nail-studded baseball bats and limb-tearing desert eagles. “Red Zone” may as well have been written across the card in Sharpie. Which of these is our sledgehammer? There are arguments for each, but let me explain why I don’t think it is either Archangel of Thune or Chandra, Pyromaster. While I think Chandra’s power is so far unexplored, I don’t think she’s quite the format-warping artillery strike past creatures have been. She is more of a role-player rather than meta-maker. She is also a Planeswalker, not a creature. While I doubt our defining spell in the core set will forever be a creature, I don’t think we’ve left that territory quite yet. Nor does Chandra appear as heavy-handed as specters of Standard past. Sublime Archangel is the real damning evidence here. It’s another top end angel that pays you heavily for having a board full of guys. While Sublime Archangel wasn’t cheap – pushing $30 during her peak, and comfortably $15-$20 for quite some time – she saw mostly fringe play and kitchen tables, while it was Thundermaw that was ruling the skies in Pro Tours. There’s room for other pricey Mythics in core sets beyond the $50 battlecruiser, as Sublime Archangel and Angelic Destiny before her have shown us. I get the impression Archangel of Thune will receive her accolades early, working in concert with Sorin and similarly lifegainy cards in a grey deck. She may still pop up from time to time over the next year, but I’m pretty sure she’ll be taking a back seat to the rapidly multiplying heads of Kalonian Hydra. Kalonian Hydra has a lot in common with past Florisian best-in-formats. He is eminently castable, capable of winning the game on his own, and there is no subtlety to his strength. While he doesn’t have an immediate impact on the board in the way of Primeval Titan or Thundermaw Hellkite, Baneslayer Angel did not either. And while he may not do as much immediately, with the exception of Primeval Titan fetching mountains or a huge Kessig Wolf Run, Kalonian Hydra kills the opponent faster than any single prior pillar. Taking all this into consideration, I feel there is a good chance Kalonian Hydra is that creature. At $23, it’s hard to say definitively that you should be buying in. Speculation is out of the question at this point, as there is far too much to lose in case things shake out unexpectedly. However, it’s not unreasonable to assume he could hit $50 sometime in the next year, and as cards like Liliana of the Veil and Voice of Resurgence have shown us, the existence of $35-$45+ cards in Standard is certainly possible. At this point, I’d be asking yourself if it’s a creature you are likely to find yourself casting. If the answer is yes, I’d start looking for opportunities to grab them in trade. There is definitely a chance he may settle sub-$20, but if it’s the type of card you want to be swinging with, you’ll be very upset if you try to wait for him to drop and then find yourself stuck trading for them at $35 a pop. Chandra, Pyromaster was a 2-of in the winning decks of both Grand Prix Warsaw as well as one of the SCG Opens this past weekend. She’s currently around $10. While it won’t always be Kibler’s GR deck, I have a feeling she’ll be showing up with regularity in the future. $17-$25 is quite possible. Last Wednesday I mentioned Horizon Canopy and Shadow of Doubt. By Thursday morning, both were basically out of stock everywhere. Horizon Canopy jumped by a solid $10, and Shadow of Doubt doubled to $7. I don’t believe either price is stable yet. This coming weekend is GenCon. There should be some Theros and/or Commander spoilers. Watch for any strong interactions with existing cards for growth potential.